The Research Unit is Centro’s team charged with the production of knowledge based on the investigation of subjects that bear on the general well being of Puerto Ricans. To this end, the Research Unit strives to obtain sponsored research grants to leverage our resources in order to promote among our staff and other partners the publication of articles in refereed journals to heighten the impact of our research on relevant fields. 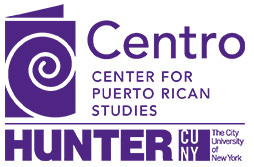 Researchers adopt and implement research programs for the study of critical conditions that affect the Puerto Rican community in the United States and that have the potential to shape public policies that promote social change and justice. Centro also encourages the formation of working groups that include our staff and other scholars doing research areas of high relevance to the field. Our intention is to create a more organic relationship with external scholars who receive Centro support for their research, and to expand our capabilities to engage in policy and community development research. By all counts, Puerto Rico’s housing market is in a deep and prolonged crisis.